T8 Photography is an established Canberra based photography studio that has been photographing weddings for over 10 years. Modern, natural images with fun added into the mix! We know you want amazing photos at your wedding - you want your photos to have a modern look that will also stand the test of time. We just love shooting weddings and thrive in the emotion, excitement and magic of your special day. Weddings should also be about having fun so we capture your special day in a candid and relaxed way. Our photos are a unique blend of art and photojournalism, modern but timeless, and above all look natural. For a full list of our packages please contact us. We also offer generous discounts and have an hourly photography rate for weekday weddings - please mention this when you enquire so we can send you the relevant information. We promise to have your photos ready for you quickly (not a few months like some other photographers). The average turnaround time is less than a weekfor the the web gallery (which has a selection of around 80 photos), and then a few weeks for the rest. This may not be important to you, but is certainly something to consider. This is the digital age and T8 Photography is riding the wave. We want you to share your photos - post them on Facebook, share your Web Gallery with your friends, or take your USB of full resolution photos to the local department store and print as many copies of your favourite photos as you want. We also offer some unique modern products as well as traditional prints - just give us a chance to show you what the possibilities are. Our packages include a full image license for you to use, print and share you photos however you wish. We are passionate about service and you will be glad you chose T8 Photography. 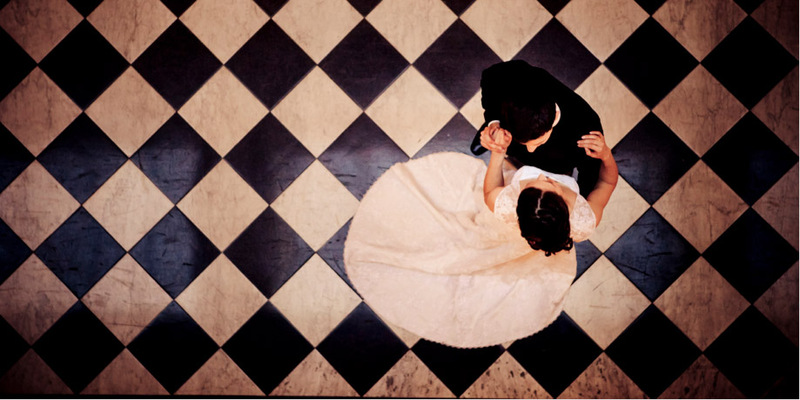 We will help you carefully plan your Wedding day so you get the most out of your photography. Everything will be explained in great detail and written down - there will be no nasty surprises and there are certainly no hidden charges. Our promise to you is that you’ll be proudly showing off your photos to all your friends and family and raving about us (a lot of our business is from referrals). You will also deal with your photographer from the start to the finish - it's definitely personal service all the way. T8 Photography covers a large region around Canberra without any travel fee. The Canberra region includes all areas within about an hour traveling time of Canberra - for example Queanbeyan, Jerrabomberra, Yass, Goulburn, Murrumbateman, Gunning, Gundaroo, Bungendore, Braidwood, Cooma, Captain's Flat, and obviously all the little towns in-between. We love traveling further afield too and we only ask a very modest travel allowance ($30/hour) to cover the extra time and distance traveled. Some examples: Bateman's Bay $90, Sydney $180, Wagga Wagga $180, Jindabyne $90, Thredbo $120. T8 Photography is also able to be your photographer at a "Destination Wedding". It doesn't matter if you're thinking of going half way around Australia, or the other side of the world, we're able to travel! Please contact us for more information. Thank you so much Tate for giving us memories that will last a lifetime. We are so happy with every single photo and can not believe how awesome you made us and our fabulous bridal party look. You are an amazing photographer and we have certainly been recommending you to all of our family and friends. Thank you also for making the photos fun, easy and original. We will be forever showing off our wedding photos to everyone! T8 Photography were fantastic and professional – we couldn’t be happier. We were relaxed, had fun with the photos and we ended up with a beautiful collection of both candid and formal photos. Everyone we’ve shown them to has commented on how beautiful the photos are. I would highly recommend T8 photography, I couldn’t have been happier with the results! We had an amazing time at our wedding and didn’t have to worry about a thing! After first meeting our photographer, I knew they were perfect for us as he was professional, easy going, humorous, punctual, relaxed and passionate about photography! He listened to what we wanted and assisted us to choose great destinations for the photo-shoots which didn’t take too long! On the day, both photographers were helpful and took every opportunity to take beautiful photos without us even knowing it! Many of our guests commented on how awesome our photographers were saying how they were humorous, easy going, friendly and professional. We were able to see some of the photos the next day! We had all the photos ready for us before we even got back from our honeymoon which was a nice surprise! I would recommend T8 Photography to any future couple who are looking for awesome memories and photos of their wedding day and to be able to relax and enjoy the day yourself! Thanks! Tate and his assistant were fantastic! I couldn’t recommend them any more highly. They bought a great energy to the day and really contributed to the fun of it all. Our photos are amazing and we have had some excellent complements on them. They are both very professional and really go what we were looking for. Thanks again! We just want to say a huge thank you for how perfectly you captured our wedding day. From the start of the day you made us feel at ease and you were so professional that we hardly knew you were there at times! We and our bridal party (who all had minimal experience with photographers!) had a great time with your relaxed and easy going attitudes, as did our guests at the reception. To have a sneak peak of the shots on the night was very special and exciting to both us and our guests, as was seeing our pictures on the web page whilst honeymooning overseas. The creativity that you produced was just amazing and continues to amaze those who see our beautiful pictures on our wall and in our album. We appreciate how quickly you finished the products, and the extra mile you took on the day. Whether it be the 2 hour travel, your rapport with all involved in our day or the time you spent well into the night, you made our day perfect and we will always remember it thanks to your amazing photography! Our unique wedding photos are the envy of all of our friends and family. We would highly recommend your total package and your outstanding services to anyone without hesitation. We couldn’t have been happier. Thanks again! Tate was the best photographer we could have imagined for our wedding. He was punctual and had a really great idea of where to be and when. This resulted in fantastic photos that we treasure now and forever. They really “wow” our friends and family! Thanks Tate! Good photography is difficult to achieve whilst bad photography is easy to get. Fortunately, our wedding photography, whilst difficult to achieve in complex lighting conditions, have proved easy to love and difficult to hate. For photography you can love we recommend T8 Photography. For bad photography we recommend anybody else. A big thank you to Tate for our wonderful wedding photo’s, there are so many great shots it’s been hard to choose our favourites! The personal service Tate provided leading up to and on the day was fantastic. Tate made all our family and friends feel so at ease. Thank you for the memories you captured, memories we will always love and cherish! Julian and his assistant did an amazing job as our wedding photographers. As they arrived, we were in the midst of a hair related disaster but the positivity that they brought with them contributed significantly to getting past the hair drama and enjoying the day. The photos are incredible and the day was captured in a very thoughtful way that allowed us to see things we didn’t have time to notice on the day. Julian was professional and flexible and most of all they were just so much fun to have around! I really did enjoy having them with me on the day- thank you! We would both like to thank T8 Photography for capturing our wedding day so superbly. Everything was perfect and our photos look amazing. We left all of our decisions about shots and locations up to the photographers and they came up with some amazing ideas, and the photos definitely prove this. Both photographers went out of their way to ensure that we were both comfortable and that everything ran flawlessly for us on the day. We cannot thank them enough for their fabulous work. I had been a little nervous about the photography side of the wedding as I thought I might feel awkward posing for photos, from the moment our photographer arrived to photograph bridal prep he immediately made me feel comfortable and relaxed. I then couldn’t wait for more photos! We were amazed to see our online image gallery up only 4 days after the wedding and receive all the photos less than one month after the wedding! We would happily recommend T8 Photography’s service to anyone needing a photographer! Thank you again for capturing all the special moments for us! Tate and the team at T8 photography were perfect. The professionally casual approach was perfectly balanced, and made my wife very happy. For me personally, I found that Tate was able to produce photos that I had asked him to produce. I had specifically asked for natural photos where the photo would convey the actual emotion or scene rather than a poised “cheese” formality, and he achieved this beyond expectation. I could not initially figure out why wedding photo packages were so expensive however, after seeing the product that T8 delivered I could confidently sooth the disposition of any concerned groom – it is good value for money. Please fill out the form to the right and you will get an automated email with our Wedding Photography Guide. The guide includes our packages and pricing.